Add a friend to a lesson for only an extra $10 per lesson. We offer three kinds of classes: studio lessons, group lessons (seasonally), and home lessons. Click here to see our schedule of lesson times available. How to use: Choose an instrument, such as flute, and our current class openings will show up in the schedule section. You can also purchase classes right online! Store Hours: Mon-Fri 3:00 p.m.-9:00 p.m. 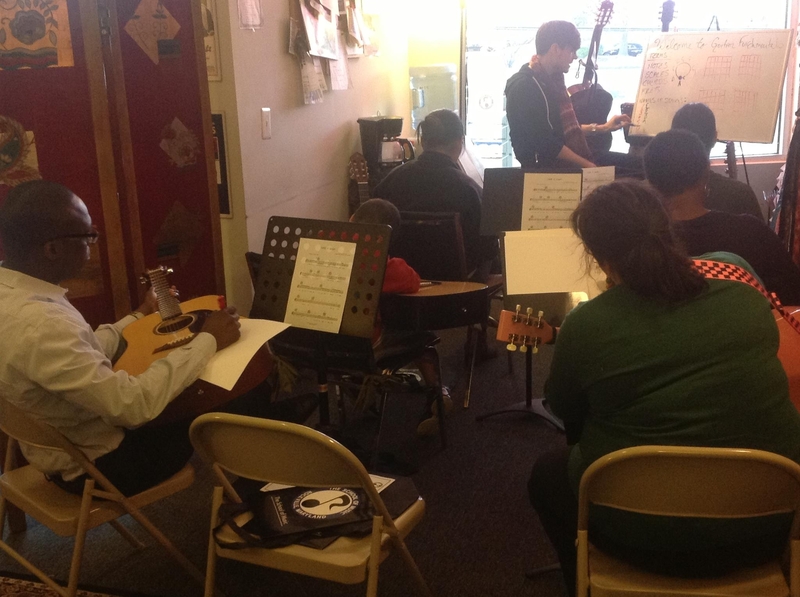 Sat 11:00 a.m.-5:00 p.m. Sun 11:00 a.m.-5:00 p.m.
Instruments we teach: guitar, piano, electric bass, harmonica, voice, ukulele, recorder, banjo, mandolin, violin, cello, viola, trumpet, flute, clarinet, and saxophone. All of our lessons are the same price no matter what instrument you choose! They are taught in our Rockville Pike studio. Classes are sold in packages. All classes are private instruction with custom curriculum to meet your needs. Please call us to learn about our Family Rates. Our studio is optimized to ensure learning is the best it can be. We have all instruments, accouterments, and books needed to ensure learning is effortless. You will also have access to our practice rooms for free, seven days a week (just call ahead for availability). Come sit in our comfortable lobby and enjoy coffee and WiFi. We’re also conveniently located near several shopping malls which have multiple kid activities as well as some good local restaurants and a donut shop! 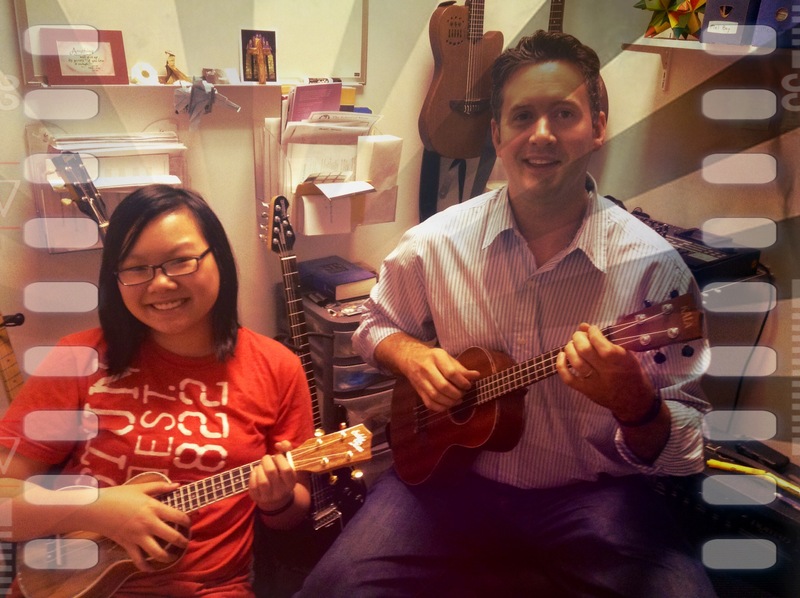 Duets ,Group, and Workshops as well as Standard, Solfeggio, or Suzuki Method lessons. Home education is taught in your home. Please contact us discuss teacher availability. Due to time and distance constraints, select teachers and times are available. We will coordinate a day and time that works best for you. The same curriculum we provide in our studio will be provided in your home. 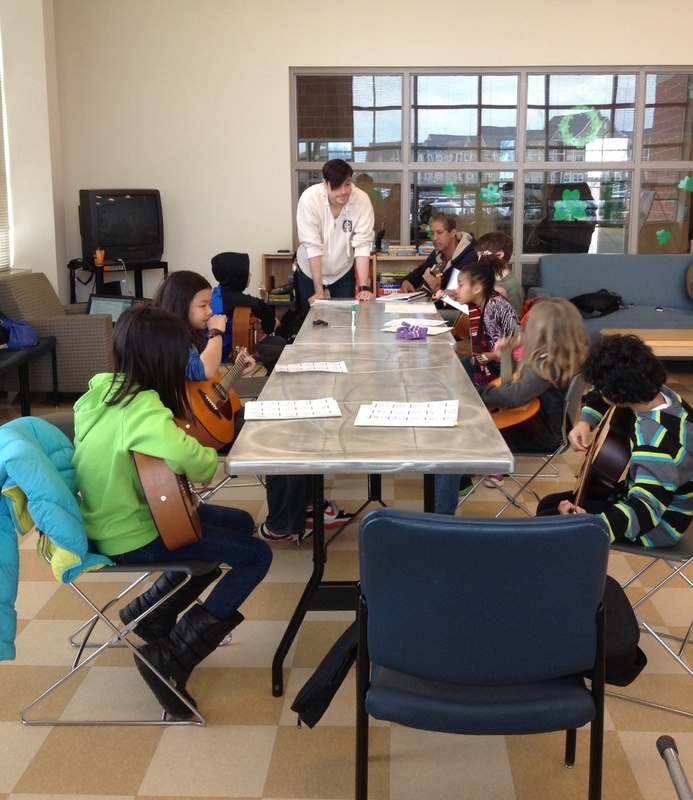 To set up lesson times, please email us at questions@theschoolofmusic.net or call 301-340-1150. Below is a list of our seasonal offerings. These classes are taught at specific times throughout the year. Usually during the Summer. Many are taught in conjunction with The City of Rockville and traditional private schools. You and a Friend – available year round. Ever wanted to learn Guitar but weren’t sure where to start? This 8 week class offers a great introduction to the most Versatile Instrument on the planet – the Guitar! Learn Strumming, Rhythms, Chords. In this fun yet Educational Class, you will learn all the basics of the guitar and a few songs too! This class regularly gets our highest reviews with many students coming back year after year for additional growth and a refresher of fundamentals. Kids Session 1 – $160 – Click Here to Purchase. Adults Session 1 – $160 – Click Here to Purchase. Have a blast this Summer playing and interacting with other kids in this fun ensemble! The Summer String Ensemble is designed to help kids learn to play with each other in a group setting. The workshop is 8weeks and will include 1 hour a week of instruction. At the end of the workshop will be a short concert and an opportunity to perform in the Winter Recital. Session 1 – $240 – Click Here to Purchase. Fall 2018 – Saturdays @2:00pm 9/22/18-11/10/18. Have a blast learning songs, strum patterns, and finger picking in a fun group setting! A Ukulele is required for the class, but for those who’d like to rent one, they’ll be available for $30 for the duration of the class. All other materials will be provided by the instructor. Class runs for 8 weeks. For a brief sample of some techniques by Kevin, click on HERE. Take your playing to the next level this Summer with this fun and informative workshop! Topics covered will include Scales/Modes, Arpeggios, Comping, Theory, Rhythms, and improvisation. There while be a lot of emphasis on jamming with other in the Jazz/Rock/Funk Idiom. At least a year of prior experience is recommended. Classes run from 6/13/18-7/18/18 Wednesdays, 7:00pm-8:00pm. Click here to purchase or check the schedule. In conjunction with the City of Rockville Recreation Department, this course will cover the important and fundamental concepts of timing, rhythm, chord management and individual note playing. It’s a great place to start for any new musician. Students who travel from Virginia and Baltimore. Most long distance students prefer one or two hour classes. Seeking Group Classes for your School, Local Govt, or Community Center?